I reviewed Sephora + Pantone Universe Color of the Year Eyeshadow Quad HERE, and I love it. The colors work wonderfully together, go on like silken butter, wear all day, and even work outside of the palette with other colors in my eyeshadow collection! I thought, hey, wouldn't my readers just love to try this for themselves?!? I think, YES! 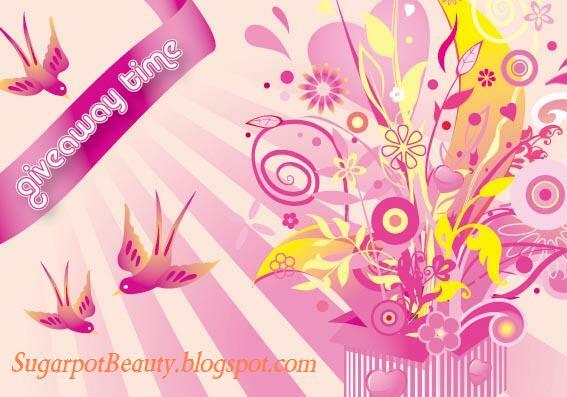 To thank all my lovely readers and Facebook followers, I am hosting a quick giveaway! You have just a few days to enter... It starts today, and ends Thursday at midnight! The lucky winner will have a full week to claim her prize, and I'll notify her vie email, Facebook messaging (if possible, some privacy settings won't let me), and all over Sugarpot Beauty's Facebook page! All you have to do is like Sugarpot Beauty's Facebook page, click on the easy link for Rafflecopter to confirm that you like our page, and wait to see if you won! 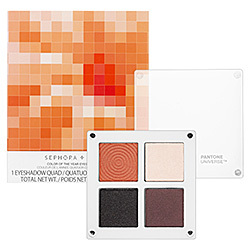 The winner will receive a brand-new Sephora + Pantone Universe Color of the Year Eyeshadow Quad. I purchased it myself. I did open it to make sure the colors were intact (to ensure the box hadn't been dropped and the colors shattered), but it has not been used in any way, and the seals were sealed when I purchased it. This giveaway is open WORLD-WIDE, because I like for everyone to join in the fun! I'll ship it to your lovely hands, no matter where you live! If you are under 18, please do have your parent's or guardian's permission to enter.